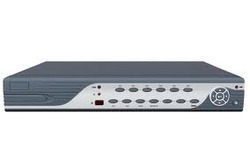 Pioneers in the business, we are presenting Standalone DVR Box . These products are made-up using high-grade material and cutting edge technology under the supervision of trained personnel. The offered product assortment is sternly examined by the quality supervisors on numerous constraints that confirm faultless finish. Offered range is extremely needed in the market owing to merits such as reliability and optimal quality.